What are the different types of insurance? The insurance market has quite the diversification of offers for varying needs. It is sometimes hard to navigate through all forms of coverage that you might be needing. However, the different forms of insurance could be piled up into only two categories. The first class of insurance is where you and your personal relations are covered for. The second class of insurance is where you are provided with coverage for the things you own. After this categorisation, the different types of insurances can be easily navigable. If you have a business that is keen on customers’ data then you are liable to protect it from being breached. Therefore, it is crucial for businesses to keep this kind of coverage on their hands because it data breach has the ability to hugely discredit your business and reputation. Insurance companies provide coverage for situations where illegal actions transpire within the company under the watch of directors and officers. Directors and officers usually come under the fire for some delayed action on a complaint made or the company being found non-compliant with the labor regulations. Therefore, it comes in handy for such profiles to have this coverage on hand. With this kind of coverage, the directors would have their personal assets secured and when the business as a whole comes under some allegation, then the insurance is available for the corresponding cash flow and assets. General liability insurance is the most common type of insurance there is. Businesses have it for when someone gets injured on their premises or when they become a cause of damage to someone’s property. This insurance is important for businesses for a situation where your business partner or a main officer has been disabled by means of an accident or where they have died. These situations are difficult because it’s hard to come up with finances that buy out disabled partners or dead one’s next of kin. So businesses usually gear up for these kind of situations with life and disability insurance. In case you are a manufacturing company or you have a product to sale, then this type of insurance is much needed for you. NO matter the amount of tests you have run on your product before you launched it into the market, there might be chances for it to malfunction or for it to be used in ways that wasn’t intended by you and so it ends up damaging its users or their property. When you have with you a product liability insurance, then you will be covered for all the legal settlements that you have to make as a response to such lawsuits. This kind of liability comes where your professional judgment has been relied on for credible purposes and then that judgment causes damage to someone. You might be a lawyer, a financial adviser or a doctor, and so your professionalism is highly being relied on. However, there is room for error in every such crucial professions. Therefore, this coverage is needed for such important professions. Property insurance is simple to understand as it covers any damage that happens to your property. These damages could be from natural disasters like floods or rainstorms or an earthquake. Therefore, it’s best to get coverage for such damage so you can at least save the situation from getting worse. Auto insurance is just like the insurance you have on your personal car. It provides coverage for when the commercial car gets into an accident. However, the cost for commercial auto insurance are higher because of the value it has (in case it is big truck) and the content it is carrying. This type of insurance is mandatory in most jurisdictions. As long as you are business with employees, you are liable to have this insurance because there is always a chance of accidents and injuries happening to employees while they are on work premises or are somewhere for work purposes. 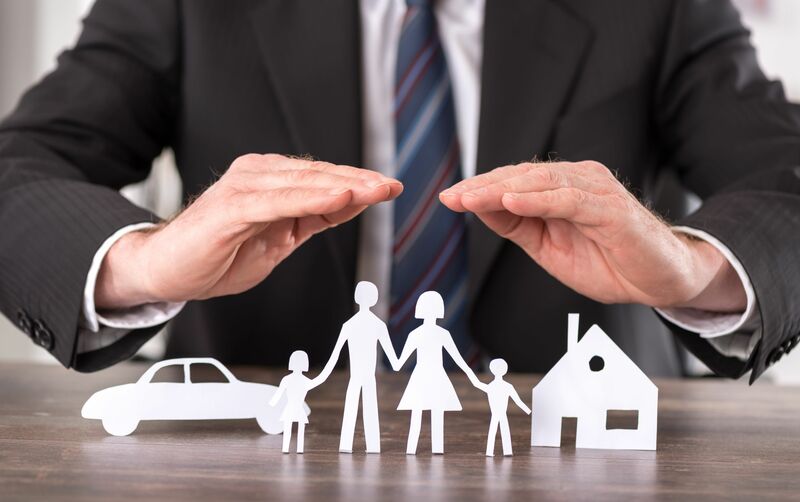 As you can see, it can be quite a task determining what are the different types of insurance, we hope some of these help.